This 9" dual diaphragm vacuum brake booster is used in our power brake conversion kits for use with 4-wheel disc brake conversions. 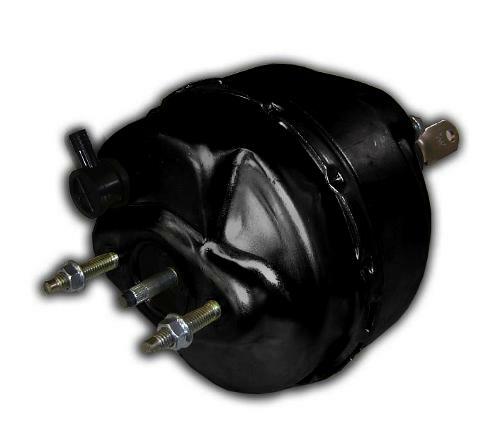 This booster is larger than the factory 8" booster and is not recommended for use in brake systems with rear drum brakes. This booster will not clear the inner wheel well of your Bronco unless you use it with our exclusive no-modify power brake booster bracket. We also recommend using our 4-wheel disc master cylinder in conjunction with this booster.